On this cold and windy day, I was motivated to take these pictures as I yearned for an early spring. 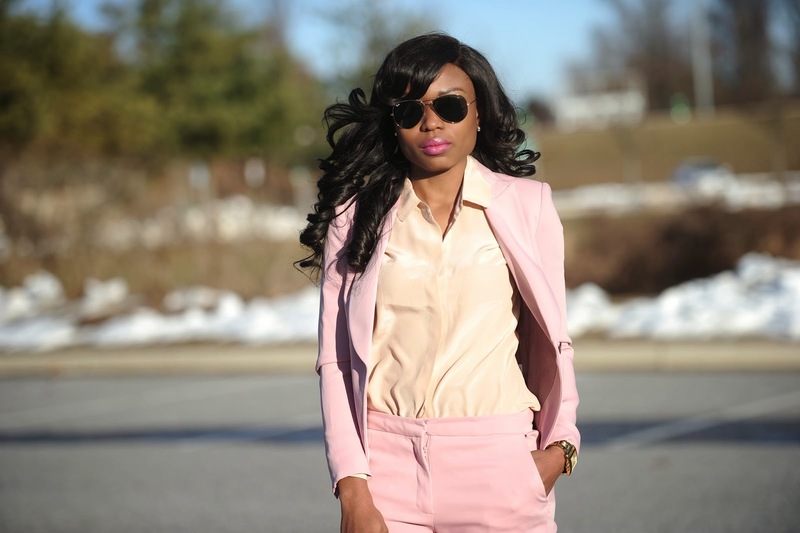 My current love for blush tones and pale pink colors made me style my suit in a different way. I wore it with a floral blouse here. For this look, I went for a simple, neutral and fresh theme. The silk beige blouse is from Everlane and I love the quality and feel. I minimized other accessories in sync with a neutral theme. Have a great day and thank you for stopping by. 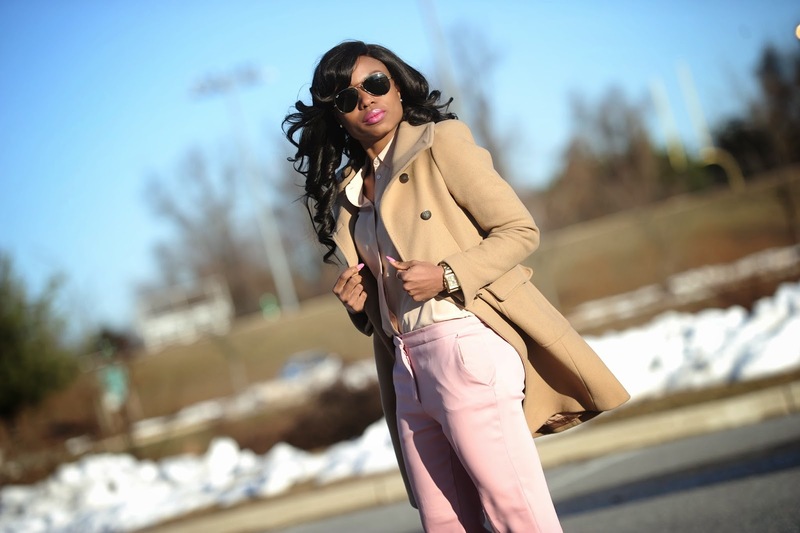 Love this outfit, chic and elegant! Girl u are werking it! Love the colour of the pants/blazer! Love the suit and color! Your style is so effortlessly beautiful as always...the colours are just so nice. Lovely colour combination! Definitely gives me that spring vibe! Enjoy your weekend! I love the colours! So fab! Love this outfit colors! You are soooo stylish!